1. 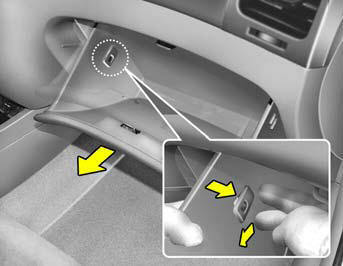 Open the glove box and remove the adjusting pins on both sides of the glove box. 2. 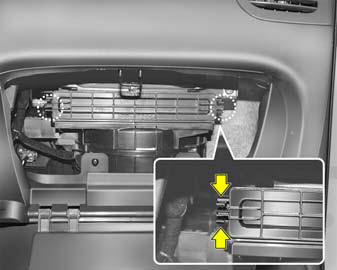 Pull out the climate control air filter with the hooks on both sides pressed. Be careful not to press the hooks in the opposite direction. 3. 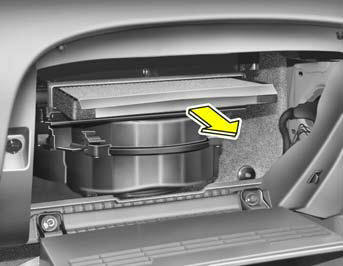 Take out the climate control air filter and replace it with a new one. 4. Installation is the reverse order of disassembly.